Thomas & Mercer, 9781503959200, 304pp. Solving the case will avenge her sister--unless the killer finds her first. It's been fifteen years since Claire Calderwood's sister, Rachel, was brutally murdered in their small hometown in Maine. Claire has finally carved out a life for herself as a homicide detective in Detroit, but the past comes calling when the local police back home ask for her help with a murder eerily similar to Rachel's. Still haunted by Rachel's cold case, Claire returns home, hoping to solve the crime and finally put her grief to rest. As she starts investigating, the last thing she needs is tenacious journalist Noah Washington asking questions she's not ready to answer. 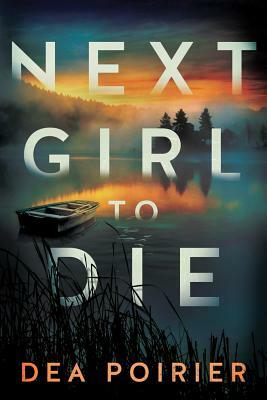 But like her, Noah won't give up until he finds the truth--and Claire reluctantly finds herself relying on him more and more when disturbing new details about Rachel's death come to light. When the killer strikes once again, Claire knows he's not done. Now he's set his sights on Claire, who will have to find the courage she needs to survive a deadly confrontation years in the making.